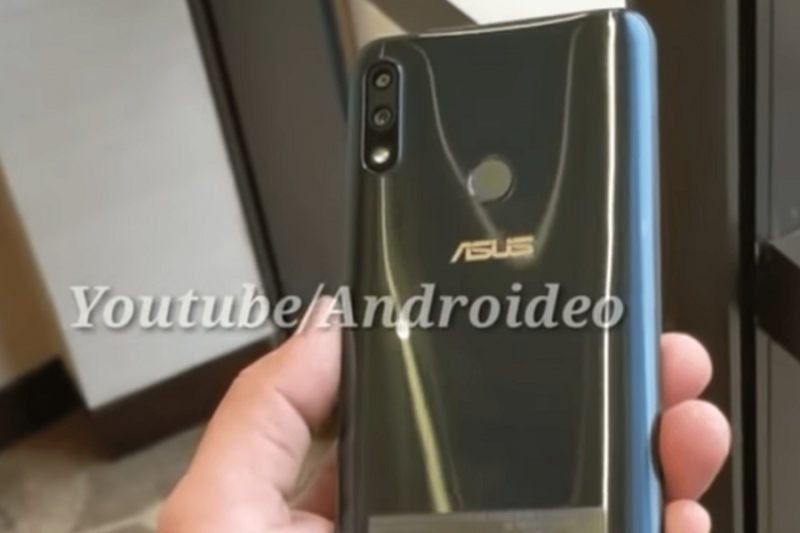 A YouTube channel video has leaked the very first looks of the yet-to-be-announced Asus phone, Zenfone Max Pro M2. The Androideo channel’s video shows the phone with dual cameras on the back and also fingerprint sensor. The phone’s information has not been officially given by Asus yet; it will be a successor to this year’s early release, Zenfone Max Pro M1. The upcoming phone will be launched next month in Indonesia, on December 11, 2018. But according to the rumors, it may be released in India too, simultaneously. But the leaked design and dimensions of the phone on Androideo channel’s video is probably the best overview that the users can get about the phone, as of now, before the launch. The phone’s having a notched display, glossy gradient panel, while the volume rockers are located on the right side of the device. Going by the video details, then the Zenfone Max Pro M2 sports a 6inch Full HD+ IPS display, having an aspect ratio of 19:9, with the screen being protected by Corning Gorilla 3. On the front, the notch houses in itself, a 13MP selfie camera with an aperture of f/2.0. There is also softlight LED flash and proximity sensor. Coming to the rear, then there are two cameras, with a 12MP primary sensor (having aperture of f/1.8, PDAF and EIS), coupled with a 5MP secondary sensor, for portrait shots; LED flash is also there on the back. Speculations say that the phone may be powered by Qualcomm Snapdragon 660 processor, and a large 5,000mAh battery. And past rumors had it that it will be coming in two variants of 4GB of RAM and 32GB capacity and 4GB of RAM and 64GB of storage. The Android version will be having a stock interface. Some other rumors and videos in the past showed that Asus may offer the Zenfone Max Pro M2 with a triple-camera setup too! Well, the official clarity on this will only come when the phone arrives globally on December 11. But surely it will probably be a great successor to its already popular, current model Zenfone Max Pro M1.